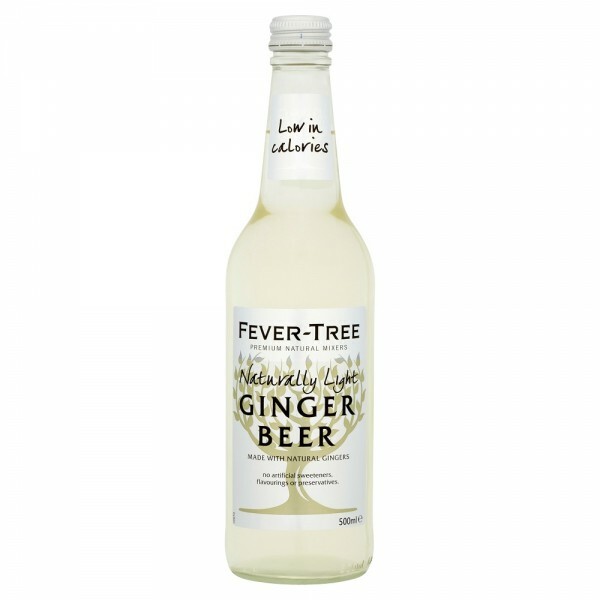 Fever-Tree Naturally Light Ginger Beer uses natural fruit sugars to create a delicious, reduced calorie drink. Naturally brewed, the product has the distinctive long-lasting ginger character of Fever-Tree, but with 42% fewer calories. Cloudy with natural sediment, the fresh smell of natural ginger is refreshing and clean tasting and is slightly less sweet than the regular ginger beer. Soft and silky as a result of the carbonation and natural ingredients, the 500ml bottle is great for enjoying a few drinks with friends and for using as either a mixer or as a sophisticated soft drink. Enjoy with rum, spiced rum and a wedge of lime or try with Sauvelle or Crystal Head vodkas.